South Africa’s Minister of Health, Aaron Motsoaledi, on Monday scolded African leaders who seek medical care away from the continent, saying the culture has become a major drain on their countries health expenditures. The minister said it was shameful that African leaders frequently seek medical care abroad while most of their citizens grapple with substandard facilities at home. “I have said this before and I will say it again: We are the only continent that has its leaders seeking medical services outside the continent, outside our territory,” Zimbabwe’s NewsDay Newspaper reported Mr. Motsoaleda as saying. “We must be ashamed of that. This is called health tourism. We must promote our own,” he added. Mr. Motsoaledi’s comments came when he delivered a speech at a regional health dialogue organised by the World Health Organisation in Victoria Falls, Zimbabwe. 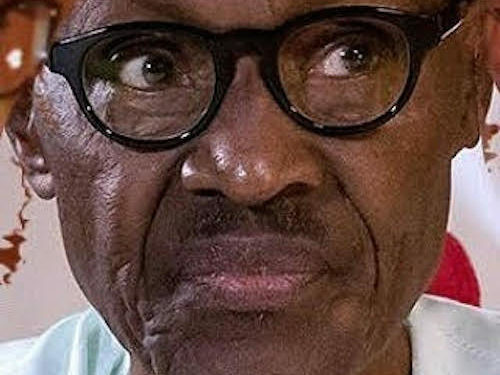 Several African leaders, including President Muhammadu Buhari, Zimbabwe’s Robert Mugabe, Angolan leader Eduardo dos Santos, Benin’s Patrice Talon and Algeria’s Abdelaziz Bouteflika, have sought medical care outside the continent in recent months, according to the BBC. Mr. Mugabe, 93, who had used his open remarks to lament low investment in health sector on the continent reportedly left before Mr. Motsoaleda’s speech. Among the African leaders, Mr. Buhari is known to have spent the highest number of days abroad during a single medical leave. The president returned to Nigeria on August 19, after spending 103 days receiving treatment for an undisclosed ailment. He had been away for 50 days early this year between January and March. In June 2016, he was suddenly flown to London, where he spent several weeks treating what the presidency said was an ear infection. Although the president addressed the country when he returned from his latest trip to London, he was silent about the country’s public health crisis or what his administration would do to improve the situation. The president also declined to address criticisms that he had broken his campaign promise not to seek medical care abroad. Like Mr. Buhari, Angola’s President dos Santos also rebuffed all demands for him to disclose the nature of his illness, despite the state picking his medical bills abroad. Algeria’s long-sitting president, Abdelaziz Bouteflika, also recently received medical treatment abroad, the BBC reported. The battered state of health services across the continent, which has barely improved despite decades of complaints, has been adduced for the leaders’ medical tourism. In 2010, the average amount spent on health in African countries per person was $135 compared to $3,150 in high-income countries, a WHO report found. Millions across the country still find it difficult to access basic medicines such as painkillers, anti-malaria and anti-biotics, according to health experts. A shocking report by PREMIUM TIMES showed no Nigerian government-owned hospital had a functional cancer treatment machine as of last week. The report said only Eko Hospital in Lagos had a functional radiotherapy machine in the entire country.